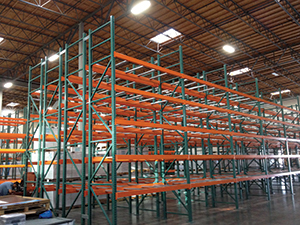 Shelf Master is unique in the industry because we employ our own installation crews. Most of our competitors must subcontract installation services and labor. 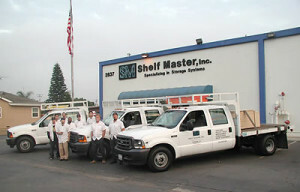 The Shelf Master crew WILL arrive on time, prepared, trained, and committed to getting the job done right. Our installers are fork lift certified. On many projects, we can pre-fab portions of the system prior to arrival at job site. Our crew is prepared to work through any modifications or additions. As a licensed contractor (C-61/594072) we know the regulations and code requirements. We employ our own installation crew. We have trained installers and certified forklift operators that are on-time and reliable.